This entry is filed under Top Car Gear. 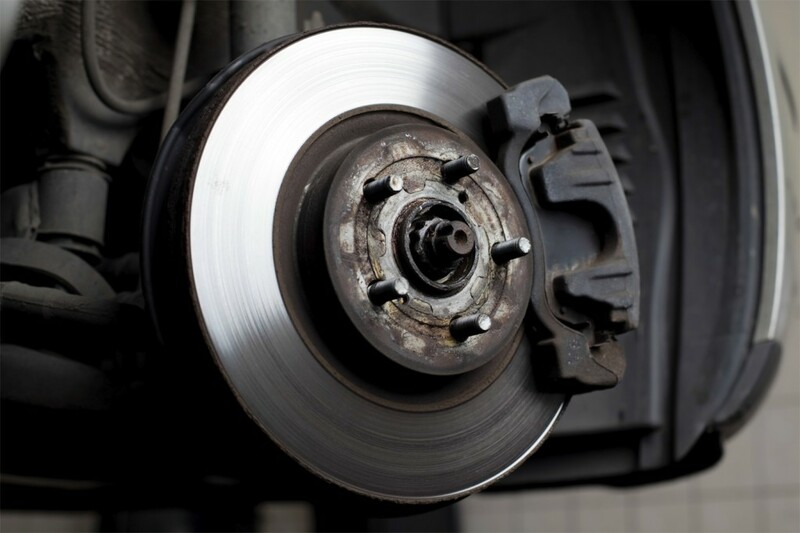 A regularly maintained set of brakes should last for thousands of miles. However, brake pads wear down over time and will eventually need to be replaced (usually after you’ve run 25,000–70,000 miles). With patience and a bit of elbow grease, you can certainly do the job on your own and save a bit of cash in the process. But if you prefer to leave this work to professionals, Singapore has quite a lot of reputable car servicing shops you can choose from. Before you start looking for a new set of brake pads at the car service workshop in Singapore, find out first whether your brake pads are ready to be replaced. Usually, the first sign of excessively worn pads is high-pitched squeal. Other signs include vibration, grabbing, or sensing your car as if it’s pulling to one side when hitting the brakes. However, when the squealing or vibration noise turn into grinding, it means that replacement is overdue and the worn out brake pads are already damaging the rotors. Because of the damage that could happen due to delayed brake pad replacement, make sure to change the pads at the early signs of wear. Bring your vehicle to a car repair shop to have professionals check it and make any necessary repairs. 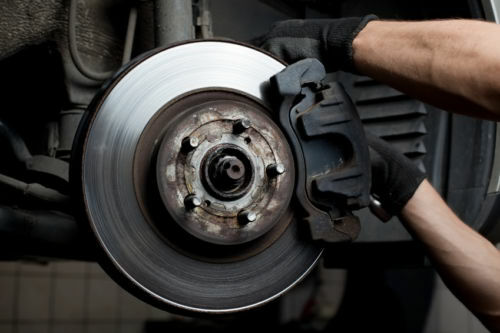 The purpose of brake pads is to hold the rotors down to make the vehicle stop. These pads come in a variety of designs and materials, each offering unique and favourable features. It is ideal to know your car’s needs and understand the pros and cons of each type, as well as ask a car servicing professional for advice. These brake pads are made of 30 to 60 percent metal, which typically includes iron powder, graphite, steel wool, and friction modifiers mixed with inorganic fillers. These brake pads are more durable and have good heat transfer. However, they are noisier, wear down the rotors much faster, and may not perform well in an environment with low temperature. These are pads made from organic formula combined with small amount of steel or copper to assist with heat transfer and provide better braking. However, due o the added metal, expect to have more brake dust and that they are ore noisier than the previous one. This type of brake pads, also labelled as NAO, is made from more natural fibres such as carbon, Kevlar, and rubber, and glass. The pads are much softer, therefore creates less noise, but they wear much faster. Some of the same options are made from organic materials mixed with small amount of steel or copper to assist with heat transfer. These pads are composed of non-ferrous fillers, ceramic fibres, bonding agents and a bit of metal. Comes in lighter colour and are more expensive, ceramic pads are quieter and cleaner and provide excellent braking features without wearing down the rotors. Also, ceramic generates less dust, keeping the wheels shiny and clean. Every car manufacturer offers a range of brake pads, and the right set of pads for you depends on several factors. Brake pads are especially designed to suit a particular type of vehicle. For instance, a pick-up truck would not use the same brake pads as a minivan. Brake pads are sized and formulated for specific usage and vehicle types to make sure they perform as needed. Generally, a mechanic at a car maintenance shop can help you determine which range of brake pads works best for your vehicle. For typical everyday driving, upgraded brake pads can be too noisy and produce more brake dust. On the other hand, vehicles carrying heavy loads or driving to uneven and hilly areas on a daily basis would greatly benefit from a heavy-duty set of pads. 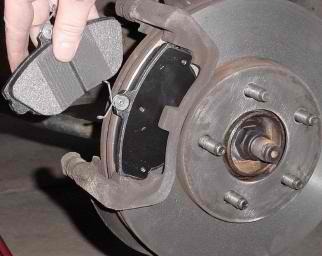 When purchasing brake pads, consider where you drive your vehicle most often and how much weight it regularly carries. For regular driving, ceramic or organic brake pads provide just enough stopping without creating noise. For heavy driving, your car repair shop would likely suggest getting semi-metallic pads for additional braking power. New vehicles are checked to meet federal performances in a variety of situations. However, brake pads do not have these government regulations. The least you can do to ensure quality product is to find out whether an independent brake manufacturer is an ISO-certified company. Purchasing products from a legit and certified manufacturer means that you are buying products that were examined to meet the international standards. It is always best to consider the entire brake system of your vehicle when replacing your brake pads. The pads perform their best with quality rotors and master cylinders that move the pads to perform their function. It’s also advisable to change the old brake fluid if your car is over eight years old to keep the brakes working in their optimum levels. The brakes are among the commonly overlooked parts of a car, but they are unarguably the most important part of any vehicle. High-quality brake components are essential for ensuring safe driving. Unfortunately, many car owners in Singapore visit local car maintenance shops and purchase the most expensive set of brake pads, believing that these are the best on the shelf. While some of these products perform well, many are just priced expensively for commercial purposes. Taking the time to review and research for the right brake pads is the best solution to find high-quality brakes that will protect not just your car but your—and your family’s—safety.